2017 FALL FIBER GIVEAWAY AT YARN WARS! Giveaway Winners of the 2017 Fall Fiber Contest!! Crochet Bucket Hat Pattern – Back to the Sixties We Go! Patty Cakes Baby’s First Mittens Crochet Pattern FREE! Crochet Water Bottle Cozy – Hip to Be Square – FREE! The ULTIMATE Non-Abrasive Dish & Pot Scrubber! The Scrub-A-Done! FREE Tuscany Bag Crochet Pattern – NEW!! 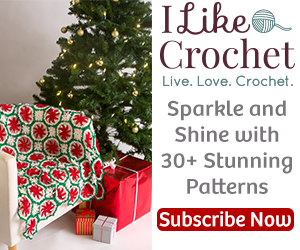 Crochet Cozy FREE Pattern – Oh My Comfy Cozy! The ULTIMATE Invisible Granny Square Join! Power Hour Vlog with Crochaysie! Subscribe to YarnWars and Be the 1st to Know! These are both crochet patterns. Enter your email below for immediate alerts of new FREE pattern releases, contest & event updates! Be the 1st to know! Talent knows no boundaries! With yarn, the possibilities are endless! 2018 YarnWars Easter Mini Challenge! Don’t Miss Out! Disclosure: This website contains affiliate links for which I may be compensated. This helps us to run a free community along with being able to continue offering YarnWars creations for free. Thank you for your support!